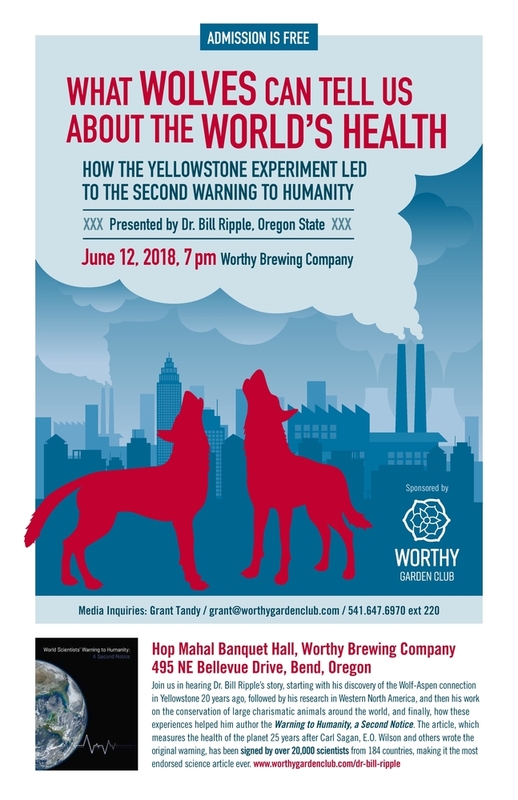 Dr. Bill Ripple is a distinguished professor of ecology in the Department of Forest Ecosystems and Society at Oregon State University where he serves as the Director of the “Global Trophic Cascades Program”. His latest research involves studying the conservation of megafauna (large carnivores and large herbivores) around the world. To continue with the global environmental concerns of the scientists’ warning, he has recently formed the “Alliance of World Scientists” which includes more than 14,000 scientists from many different countries. Dr. Ripple will present his work on how the far-reaching impacts of wolves are affecting the ecosystem in Yellowstone National Park. Ripple will illustrate how he transitioned from Yellowstone to other national parks in western North America and beyond to demonstrate both the benefits of large mammals and the costs of their demise. He will disclose how his conservation research and general concern about the global environment and climate change led to him writing the letter “World Scientists’ Warning to Humanity.” As a health check-up for planet Earth, this letter has reached millions of people and is one of the most widely discussed and endorsed scientific articles of recent times.